@sergiu-il are you really sure predicting barca won 4-0 at Old Trafford? Hopefully next game 3 points for Juventus. I like Juventus. Btw, good result for Ajax. Tomorrow we will have the final results of the first two heats. 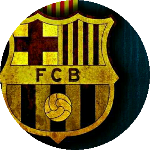 @sirclitjeslikker_nl no way.this year it is time for barcelona or liverpool or should i say this year it is time for english club to take it,even if i am 100 procent barca fan.